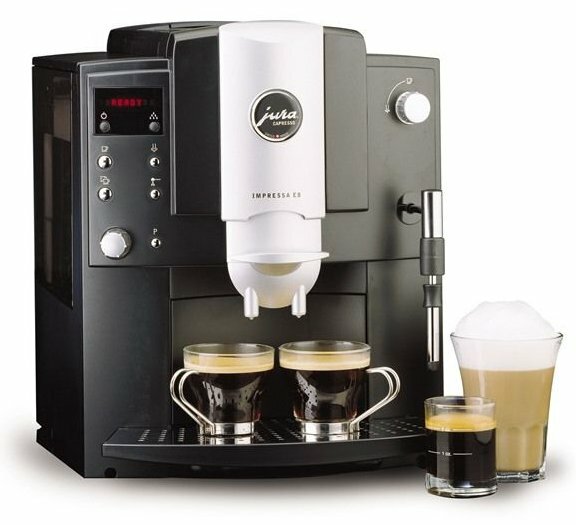 > Jura Impressa E8 Super Automatic Espresso Machine! Thermblock boiler is fast, durable and provides excellent heat retention for consistency. Pre-set buttons for single & double shots, mild normal or strong coffees. LED display guides the brewing process, alerts and programming information. Programmable steam button - from 3 to 120 seconds. Programmable Aroma - standard or robust. Auto shut-off from 2 to 9 hours. Measures in oz. or ml. Full dump box indicator - holds up to 16 spent portions. Removable 48 oz water reservoir - can also be refilled on the machine. Enough water for 24 espressos or 8 cups of coffee at a time. 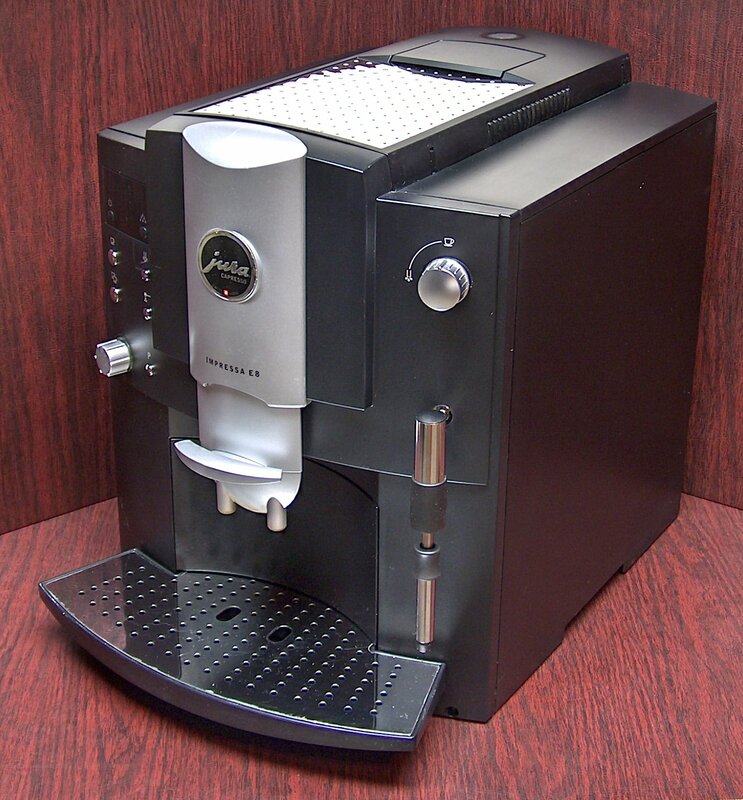 Drip Spouts can be adjusted from 2-1/2" to 4-1/2" for espresso cups to coffee mugs. 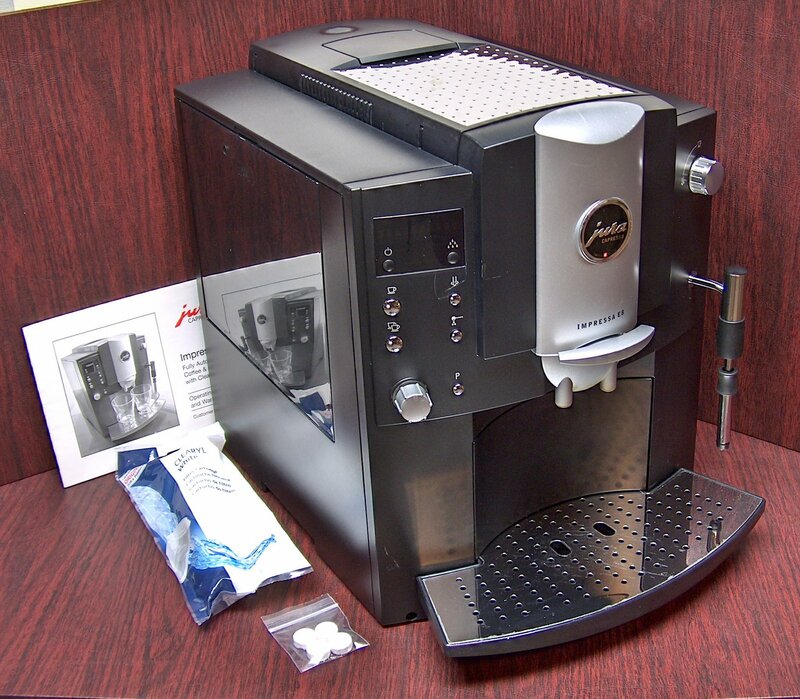 Hot water on demand - programmable from 1 to 16 oz. 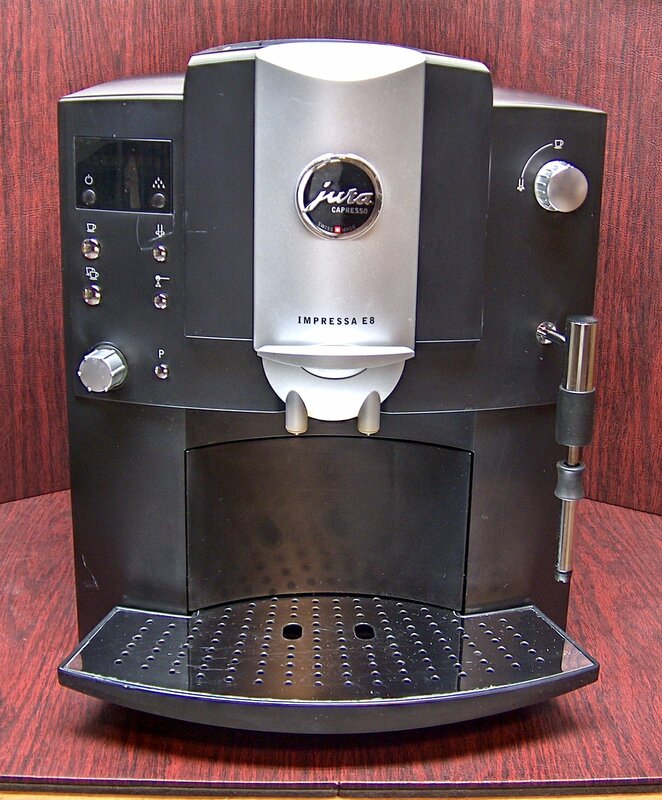 Adjustable Coffee Strength - sets grinding duration for mild, normal, or strong. Unique CLARIS Water Care System - eliminates decalcifying altogether. Beautiful Matte black finish with silver accents.